Never felt so tall in a Jaguar before. Since my childhood, I have been close to the Jaguar brand thanks to my father's profession, and throughout the years they were (and still are) desirable because of the brand's illustrious history, typical British luxury and, of course, brandishing what's most certainly one of the coolest logos ever. 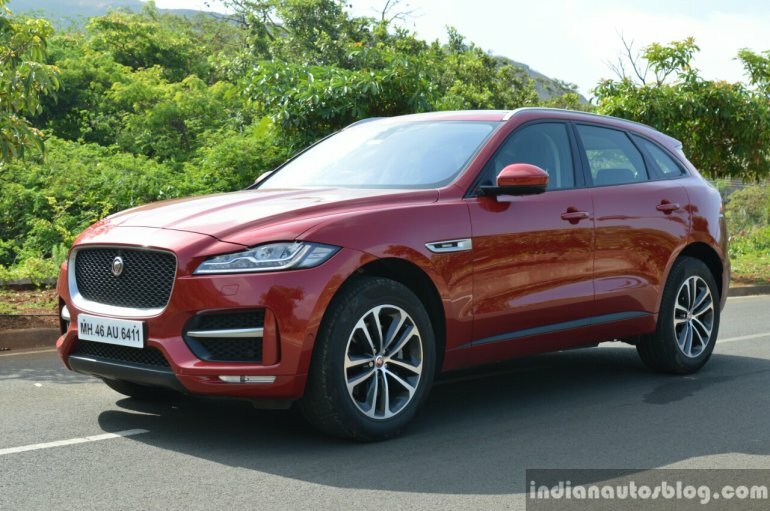 However, as an enthusiast, I never thought Jaguar would bite the bullet and make an SUV, especially when its sister brand is a leading manufacturer of a whole range. So I was a bit apprehensive at first. When I saw the Jaguar F-Pace for the first time in 2015, I do not know how far my jaws dropped, but I was fumbling around to pick it back up. A new aluminium platform, gorgeous exterior styling, a potent range of engines and technology derived from the F-Type? Excited was an understatement, and the wait to acquire one for a review was, well, painful to say the least. 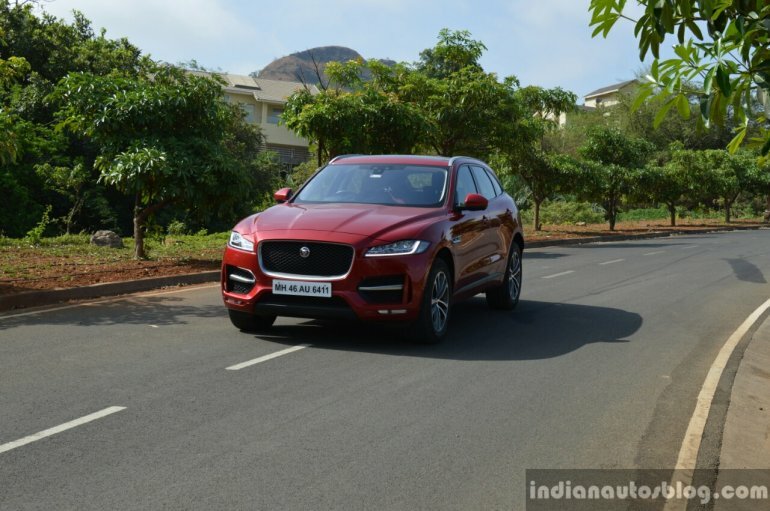 I tried to keep my expectations as low as possible when Jaguar India finally let me have the R-Sport version for a weekend. 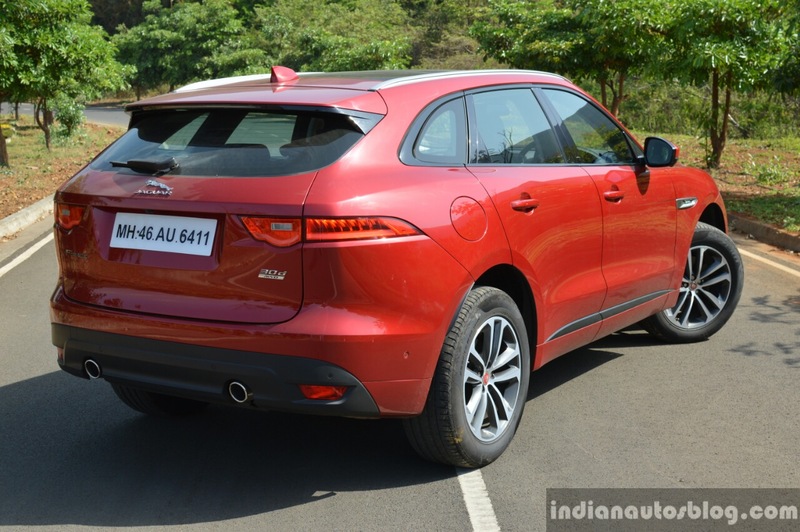 So, without further ado, here's my review of the F-Pace, Jaguar's first ever SUV. Before the F-Pace broke cover, I had my doubts about its design as Jaguar have never produced an SUV before. However, Ian Callum and his team love to accept challenges and, in this instance, have nailed it. While the title of the hottest SUV still belongs to its sister, the Ranger Rover Evoque, the F-Pace does come quite close. The exterior has just got so much road presence that it turns heads wherever it goes, even from people driving around in luxury SUVs. Usually, it's a sporty body kit that helps add aggression to the look of a regular SUV, but in the F-Pace's case, even the base model looks aggressive and imparts a dynamic impression. The R-Sport body kit fitted to our test car simply complements the exterior. For a mid-size SUV, the F-Pace is a bit impractical on Mumbai roads because of the sheer width (excl mirrors) - it is nearly 2 meters long! On European or Middle Eastern roads, the F-Pace sits just right, but on local city roads? I found myself reaching for the all-round parking sensor button every time I got stuck in slow traffic, given how awfully close other motorists drove beside it. But folks who can afford an F-Pace will have larger cars in their garage with experience in heavy traffic conditions, so this is likely not to faze them. Stepping inside the F-Pace, and the first question that popped into my head is "am I sitting in an XE?". 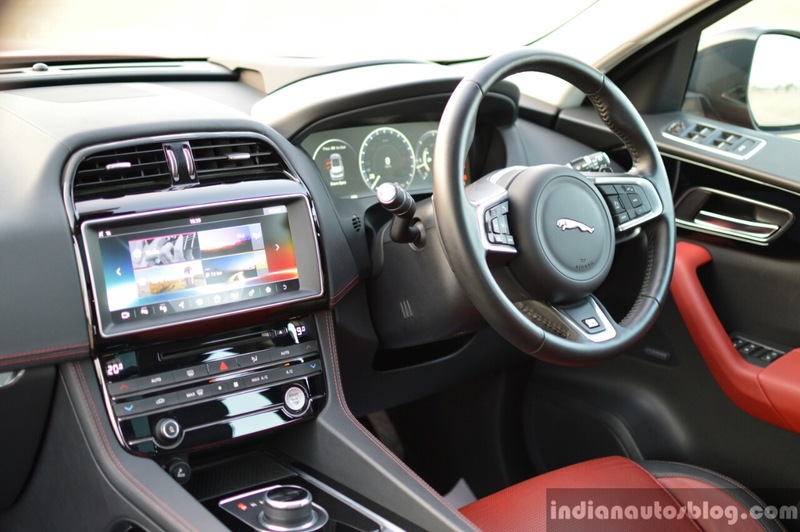 The design is eerily similar to the Jaguar XE, with small distinctions being the tech equipped in top-end models, the location of the window and ORVM buttons, and the floor console. It is by no means a bad design, but I was expecting an adaptation of the Jaguar F-Type's interior, rather than a carbon copy of Jaguar's entry-level model. 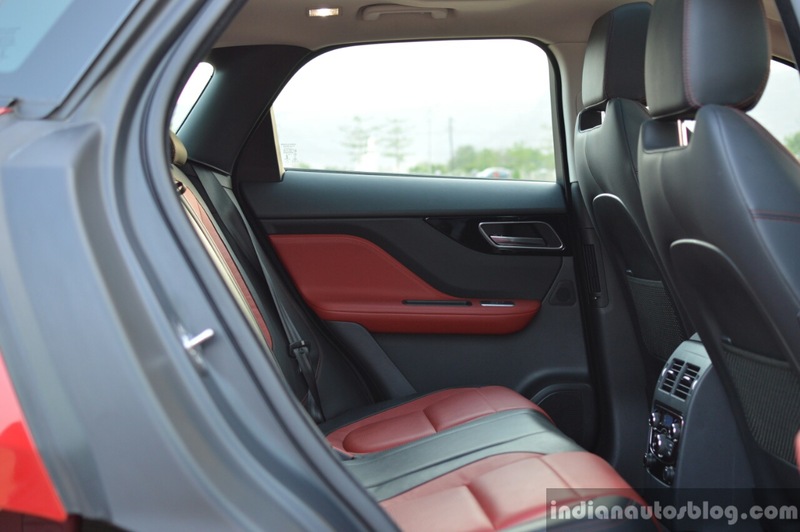 For an INR 1.0+ cr mid-size SUV, materials used in the F-Pace feel good in the upper portions of the dashboard and door cards, although start poking around, and you will come into contact with some areas that use relatively cheap plastic. The Porsche Macan, despite being less expensive, is trimmed with better materials and feels more expensive than the F-Pace. The cabin doesn't accentuate width, but rather feels cosseting with sporty front seats that offer numerous levels of power-operated adjustments, good support for the back and is well bolstered, so you're not flung around when attacking corners. At the back, there is plenty of knee room and headroom to spare for 6+ ft folks like me, and the seats can be reclined electrically. However, the large hump and narrow middle portion would make a third passenger feel uncomfortable on long journeys, so the F-Pace works best as a 4-seater. The seats can be folded flat to liberate a capacious 1740 L of storage volume while setting them back up still leaves a respectable 650L capacity. The F-Pace, surprisingly, comes with a spare full-size alloy wheel rather than a space saver, which explains the plateau-like flat hump on the boot floor. Still, the Jaguar F-Pace puts the Porsche Macan to shame, with respect to practicality. Our test car was a range-topping Jaguar with a 1+ crore price tag, so it goes without question that the equipment onboard had me drooling. One of the top highlights was the 10.2-inch InControl Touch Pro infotainment system, which is light years ahead of older Jaguar infotainment systems. The crisp resolution of the screen, menu layout, ease of operation and smooth transitions makes InControl Touch Pro one of the best touchscreen infotainment systems on offer. 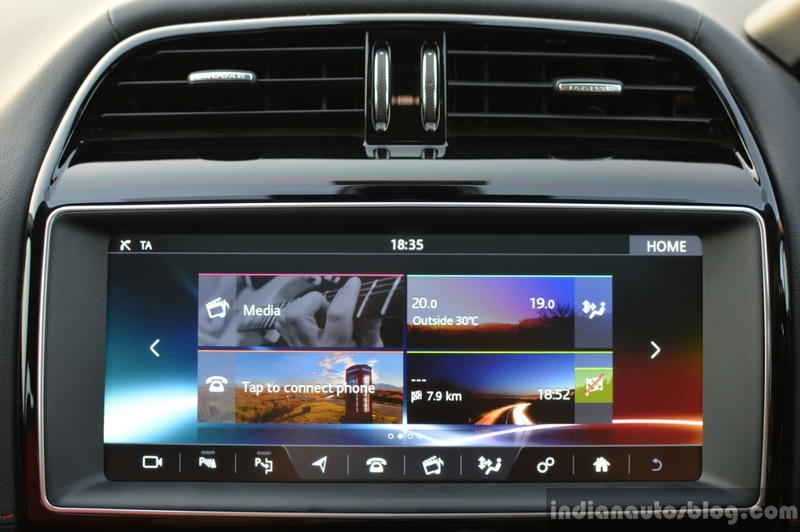 Other highlights include a 12.3 inch TFT LCD for instrumentation, ambient lighting, panoramic sunroof, 4-zone automatic climate control, laser-powered heads up display, 17 speaker Meridian audio system, 360-degree camera system with Eagle Eye view, and LED-powered puddle lights that project the Jaguar leaper. Under the deliciously sculpted hood sits a 3.0L V6 twin turbo diesel engine that outputs 300 hp at 4,000 rpm and a whopping 700 Nm of torque at 2,000 rpm. The engine works with an 8-speed ZF automatic gearbox and all-wheel drive system to send the power to all four wheels. There's just so much torque in the mid-range that it can pull a whole building down — okay, I made up that last bit, but there's enough to knock your occupant's socks off. The F-Pace may look like a big, heavy car, but it only weighs 1,775 kg, thanks to the aluminium intensive iQ platform, so it is no surprise that the performance figures are impressive for a V6 diesel-powered SUV. I cannot imagine what a V8-powered SVR version is going to be like. The F-Pace 30d can sprint from 0-100 km/h in just 6.2 seconds, and can effortlessly reach a limited top speed of 241 km/h. 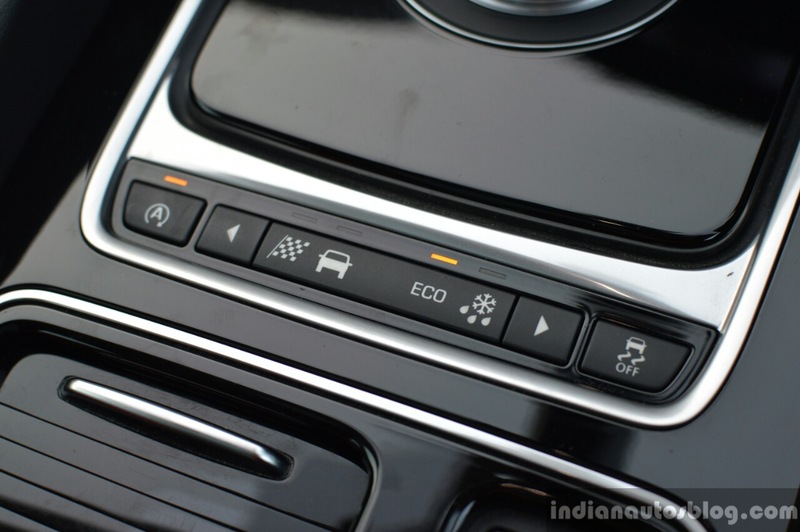 Drivability can also be adjusted via the JaguarDrive Control, with modes such as Dynamic, Comfort, Eco and Rain/Ice/Snow that adjust the usual throttle response, steering weight and gearbox shifts. In Eco and Comfort modes, most automatic gearboxes are lazy to downshift; however, even in Eco mode, the F-Pace does not hesitate to downshift to access that bulk of torque, should you need to make quick overtakes. If you are the least bothered about fuel efficiency, hit the Dynamic button (the one with a chequered flag), twist the gear selector to 'S', and the F-Pace channels its true animalistic spirit. The engine becomes jumpier, and the gearbox basically reads your mind when it comes to serving gears, especially while slowing down before a corner, where it aggressively downshifts with a throttle blip. For a more involving drive, steering-mounted paddles are available as standard. What's strange about all this is that the F-Pace is a fast SUV, but relatively silent even when being driven hard. A Jaguar that is fast and silent? When did pigs start to fly? Generally, the suspension of a large and expensive SUV has a softer setting, so that it can essentially glide over road bumps and potholes, as well as traverse off-road terrain effortlessly. 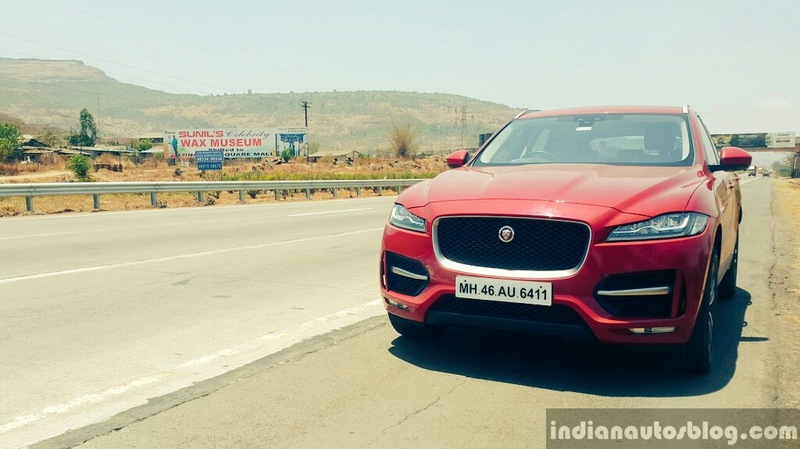 In the F-pace, however, the F-Type-derived all-aluminium double wishbone setup at the front and integral link suspension at the back are tuned to a firmer setting, which is easily discernible when driving over the many invisible speed bumps Pune has to offer. Yet, surprisingly, the F-Pace's ride quality has a certain sense of pliancy that wouldn't leave you perturbed most of the time. From a performance-oriented Jaguar SUV, that's impressive. And of course, the benefits of the firmer suspension are reaped when you try to attack corners. I probably have never said this about an SUV before, so this is a first - around corners, the Jaguar F-Pace exhibits the characteristics of a hot hatch. Body roll is almost non-existent, and grip levels from the 255 section Pirelli PZeros and the AWD system make sure that you stay within the attacking line. 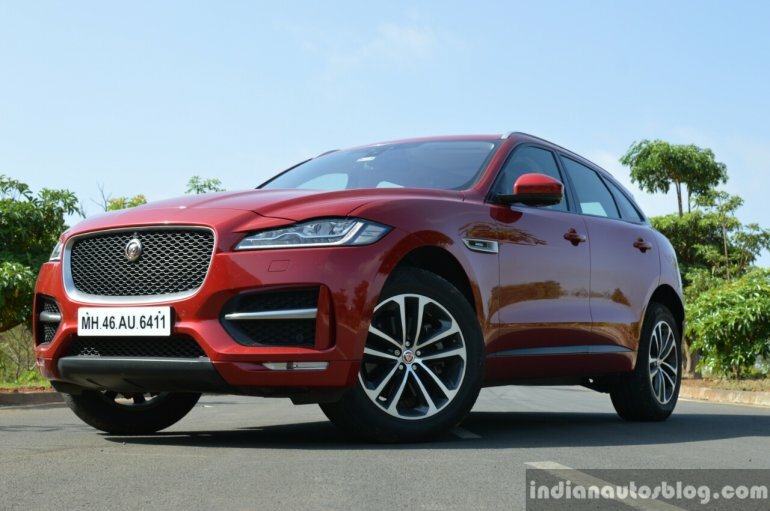 Jaguar steering systems have proven to be best-in-class in other segments, and it is no different in the F-Pace - there's a good amount of weight distribution at high speeds and is quite accurate to dart into corners. However, do note that the F-Pace is still an SUV, so there are certain limits to be respected. Treat it like an F-Type, and there are bound to be moments that could trigger urination. 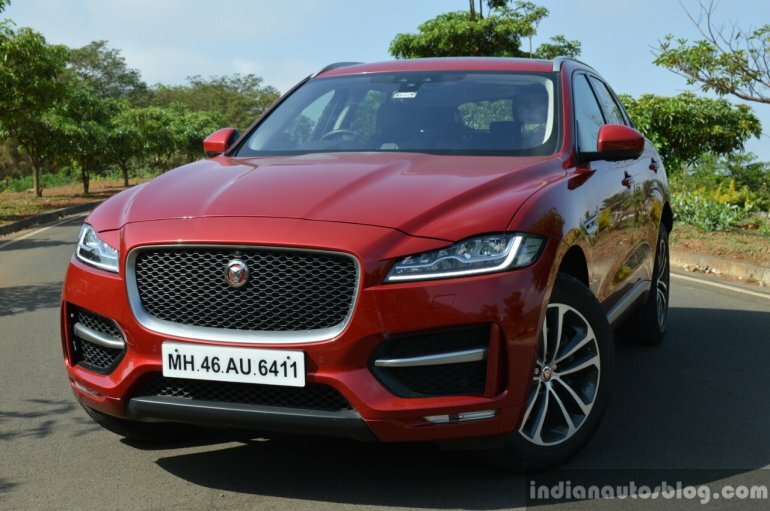 By the looks of it, Jaguar seems to have nailed their maiden attempt at an SUV but, as we had feared before launch, the pricing is its Achilles' heel in India. 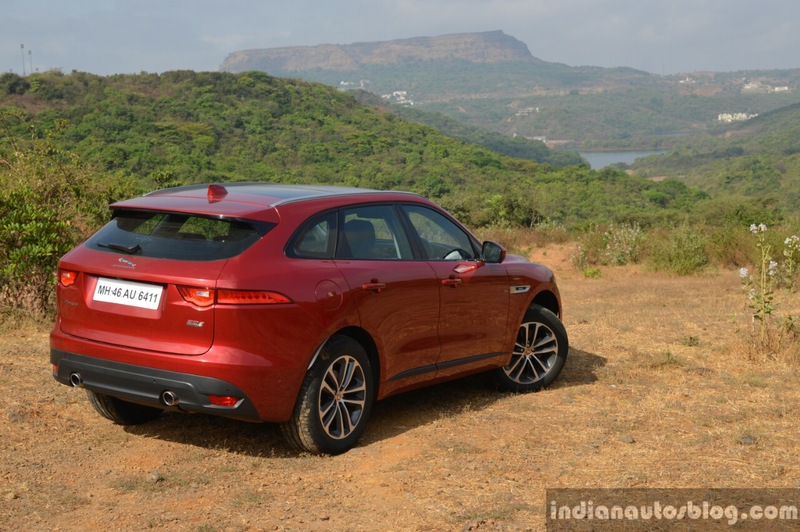 The range starts from INR 68.4 Lakhs for the F-Pace 20d (4-cyl) Pure, which is on par with V6 diesel-powered full-size 7-seat SUVs from the Germans. If you want the full-fat experience of what the F-Pace is capable, the R-Sport would be our pick, although it retails at an eye-watering INR 1.03 crores (ex-showroom Delhi). It is slightly costlier than its closest rival, the Porsche Macan S Diesel (1.00 crore), but also more practical, bigger and turns more heads. During my time with the F-Pace, I have been flagged down by multiple strangers on the road, few of them in luxury cars, who were showing genuine interest towards it. While they were impressed with the overall product, the mere mention of its price had turned their smiles into frowns. But a couple of them did not really mind the exorbitant price, even going on to proclaim that it will be their next purchase. And to these folks, we'd heartily recommend the F-Pace; if pricing is not a bother, what you would be purchasing is probably one of the most desirable, all-round luxury SUVs on sale in India.